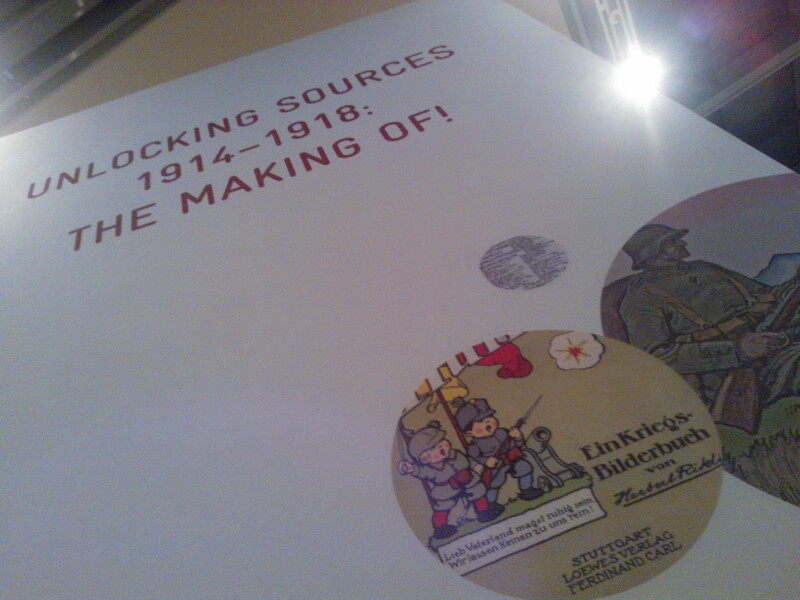 Using the major War Collection of the Staatsbibliothek zu Berlin as example, the exhibition „Unlocking Sources 1914-1918 – The Making Of!“, held at the Staatsbibliothek’s Dietrich-Bonhoeffer-Saal from 30th of January to 08th of February 2014, mo – sa 11 a.m – 07 p.m. will illustrate how a cultural institution digitizes their treasures and gives access to thousands of still undiscovered resources. 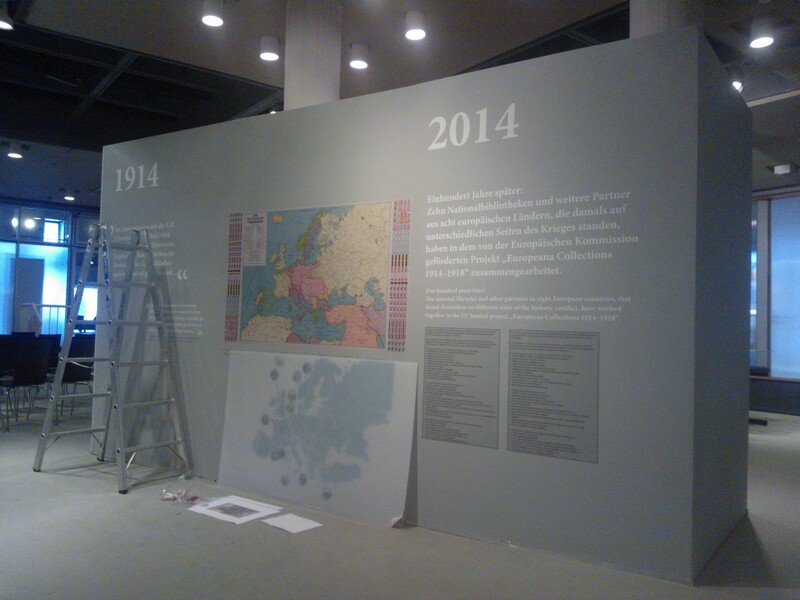 The exhibition spans the time from the beginning of the war, when all war-related publications – including enemy publications – were collected in large numbers, until the present time, when libraries from former enemy countries jointly make available online several hundreds of thousands of resources. This development also shows how library tasks have changed; they continue to collect and preserve the originals, but also create digital access to many objects and thereby publish them a second time. A digital publication on Europeana (www.europeana.eu/) offers the special possibility to immediately compare documents on similar topics from different countries– the resources are accessible via a transnational network. A film, on display within the exhibition, tells the story of the World War writer Walter Flex, whose letters, manuscripts, photographs, and personal documents, among them a bullet perforated map, are preserved in the Staatsbibliothek. A part of the exhibition has been designed especially for pupils and learners – it offers the unique occasion to see the original items which on the E-Learning-Website (link will be provided here after the launch on 30 January 2014) exist in virtual form and are linked to a number of teaching materials.